Porsche Centre Tewkesbury is delighted to offer you this stunning 718 Boxster finished in GT Silver with Black standard interior with Sports seats Plus. The vehicle also showcases 20 Inch 911 Turbo wheels, and wwo-zone automatic climate control. Equipment: convertible top in Black, 64-litre fuel tank, Porsche Doppelkupplung (PDK), heated seats, cruise control, Lane Change Assist, heated multifunction steering wheel, smoking package, LED main headlights including Porsche Dynamic Light System Plus, light design package, speed limit indicator, ParkAssist (front and rear) with reversing camera, Power steering Plus, electrically folding exterior mirrors, BOSE® Surround Sound System, adaptive Sports seats Plus (18-way, electric) with memory package, automatically dimming mirrors with integrated rain sensor, sport chrono package including mode switch, sports tailpipes in Black and fuel filler cap with aluminium look finish. 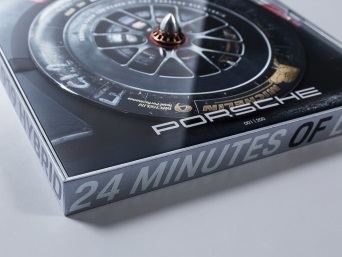 Please contact us on 01684 212911 or email info@porschetewkesbury.co.uk for more information. Porsche Centre Tewkesbury is delighted to offer you this stunning 718 Cayman finished in Night Blue Metallic with Black/Crayon two-tone leather interior. The car includes many extra features such as heated seats, and Lane Change Assist. Equipment: 64-litre fuel tank, Porsche Doppelkupplung (PDK), 20-inch 911 Turbo wheels, cruise control, Lane Change Assist, heated multifunction steering wheel, deletion of model designation, two-zone automatic climate control, passenger footwell storage net, speed limit indicator, ParkAssist (front and rear) with reversing camera, power steering plus, electrically folding exterior mirrors, leather interior package in two-tone combination, BOSE® Surround Sound System, adaptive sports seats plus (18-way, electric) with memory package, automatically dimming mirrors with integrated rain sensor, sport chrono package including mode switch, Bi-Xenon main headlights in Black including Porsche Dynamic Light System and sports tailpipes. Porsche Centre Tewkesbury is delighted to offer you this stunning 718 Cayman finished Crayon with Crayon/Black two tone leather interior. The car features stunning 20-inch 911 Turbo wheels and includes the sport chrono package with mode switch. Equipment: 64-litre fuel tank, Porsche Doppelkupplung (PDK), heated seats, 20-inch 911 Turbo wheels, cruise control, heated multifunction steering wheel, two-zone automatic climate control, passenger footwell storage net, smoking package ,LED main headlights including Porsche Dynamic Light System Package, light design package, speed limit indicator, ParkAssist (front and rear) with reversing camera, power steering plus, electrically folding exterior mirrors, leather interior package in two-tone combination, BOSE® Surround Sound System, adaptive Sport seats Plus (18-way, electric) with memory package, automatically dimming mirrors with integrated rain sensor and sport chrono package including mode switch. Porsche Centre Tewkesbury is delighted to offer you this stunning 718 Cayman finished in Jet Black Metallic with Black/Crayon leather package with partial leather seats. The car features 20-inch Carrera S wheels, and two-zone climate control. Equipment: 64-litre fuel tank, Porsche Doppelkupplung (PDK), heated seats, 20-inch Carrera S wheels, cruise control, heated multifunction steering wheel, two-zone automatic climate control, light design package, ParkAssist (front and rear), Power steering Plus, electrically folding exterior mirrors, leather package, BOSE® Surround Sound System, automatically dimming mirrors with integrated rain sensor, sport chrono package including mode switch, wheels painted in satin Black (complete), Bi-Xenon main headlights in Black including Porsche Dynamic, sports tailpipes in Black, Porsche crest embossed on headrests and tinted taillights. Porsche Centre Tewkesbury is delighted to offer you this stunning Panamera GTS Sport Turismo finished in Crayon with the GTS interior package in crayon. With the 21-inch Panamera Sport Design wheels painted in Black (high-gloss), the wheels contrast with the car beautifully. Equipment: rear-axle steering including Power steering Plus, Porsche Dynamic Chassis Control Sport (PDCC Sport), SportDesign package painted in Black (high-gloss), heated multifunction sports steering wheel, panoramic roof system, 8-way electric seats (rear) with memory package, 21-inch Panamera SportDesign wheels with Black (high-gloss), heated seats (front and rear), privacy glass, carbon interior package, exterior mirrors painted in Black (high-gloss), door handles painted in Black (high-gloss), ParkAssist (front and rear) including reversing camera and densors, LED main headlights in Black with matrix beam, including Porsche Dynamic Light System, four-zone automatic climate control, Night Vision Assist, BOSE® Surround Sound System, Porsche rear seat entertainment, soft close doors, head-up display, Lane Keep Assist including speed limit indicator, Porsche InnoDrive including adaptive cruise control, USB interface in rear and air outlet trims painted. Porsche Centre Tewkesbury is delighted to offer you this stunning 718 Cayman finished in Carmine Red and Black standard interior. 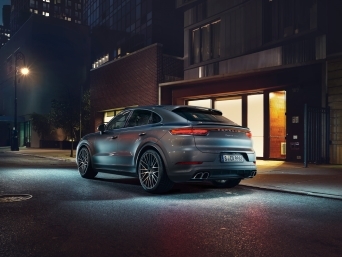 The car features Porsche Active Suspension Management, as well as heated seats. Porsche Centre Tewkesbury is delighted to offer you this stunning 911 Carrera GTS finished Crayon and Alcantara® Package GTS in conjunction with GTS interior package. The car features rear-axle steering, Sport Design package and 18-way electric adaptive Sport seats Plus. Equipment: instrument dials in Silver, cruise control, front axle lift system, Porsche Active Suspension Management (PASM), heated multifunction steering wheel, passenger footwell storage net, smoking package, light design package, ParkAssist (front and rear), electric slide/tilt glass sunroof, BOSE® Surround Sound System, adaptive Sports seats Plus (18-way, electric), automatically dimming mirrors with integrated rain sensor, SportDesign package, LED main headlights in black including Porsche Dynamic Light System, privacy glass (rear side windows and rear window), headlight cleaning system covers painted and fuel filler cap with aluminium look finish. Porsche Centre Tewkesbury is delighted to offer you this stunning Panamera Turbo in Jet Black Metallic with interior in Black smooth finish leather. It also features four-zone automatic climate control as well as ParkAssist (front and rear) including reversing camera. 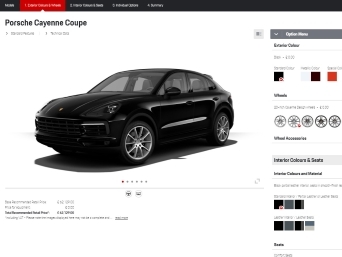 Equipment: rear-axle steering including Power steering Plus, sports tailpipes in Black, preparation for towbar system, wheel centres with full-colour Porsche Crest, heated steering wheel, panoramic roof system, 21-inch 911 Turbo Design wheels, privacy glass, Porsche Crest embossed on headrests, ParkAssist (front and rear) including reversing camera, LED main headlights in black with matrix beam, including Porsche Dynamic Light System, tinted LED taillights including light strip, Burmester® High-End 3D Surround Sound System, soft close doors, Lane Keep Assist including speed limit indicator, Porsche InnoDrive including Adaptive Cruise Control, storage package, Sport Chrono Package and USB interface in rear. Porsche Centre Tewkesbury is delighted to offer you this stunning Macan 2.0 in Miami Blue with Black smooth finish leather interior. The car also features 21-Inch 911 Turbo Design Wheels and Porsche Active Suspension Management (PASM). Equipment: 75-litre fuel tank, sports tailpipes in Black, Porsche Active Suspension Management (PASM), 18" collapsible spare wheel, Power steering Plus, panoramic roof system, Porsche Crest embossed on headrests (front seats), roof rails in aluminium, painted in Black, 21-Inch 911 Turbo Design wheels, seat heating (front), heated windscreen, automatically dimming mirrors, piano black finish interior package, sideblades painted in exterior colour, ParkAssist (front and rear) including reversing camera, LED main headlights in black including Porsche Dynamic Light, tinted LED taillights including light strip, smoking package, comfort lighting package, BOSE® Surround Sound System, 14-way electric seats (front) with memory package, side window trims in black (high-gloss) and privacy glass. Porsche Centre Tewkesbury is delighted to offer you this stunning 718 Boxster in Racing Yellow with Black leather package with partial leather seats. The car also features roll-over bars painted in the exterior colour, which pairs beautifully with the 20-inch Carrera S wheels. Equipment: convertible top in black, 64-litre fuel tank, Porsche Doppelkupplung (PDK), heated seats, 20-inch Carrera S wheels, cruise control, heated multifunction steering wheel, two-zone automatic climate control, ParkAssist (front and rear), leather package, BOSE® Surround Sound System, automatically dimming mirrors with integrated rain sensor, Sport Chrono Package including mode switch, wheels painted in satin Black (complete), Bi-Xenon main headlights in Black including Porsche Dynamic Light System and Porsche Crest embossed on headrests.